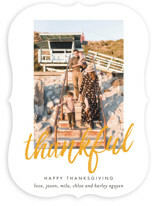 Spending Thanksgiving together is a time honored tradition for many families throughout the U.S., Canada, and parts of the Caribbean islands. 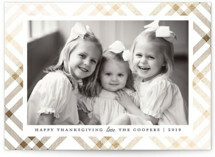 It is a time to come together with the ones that matter most and share in each other's company. 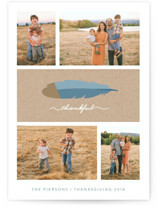 For many people, spending time with family and friends over Thanksgiving dinner is the most cherished time of the year. 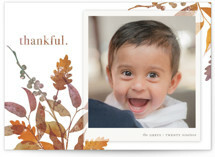 Share your gratitude with those near, and far by sending beautiful Thanksgiving cards this holiday season. 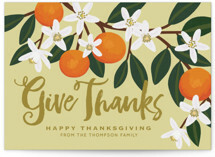 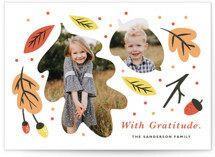 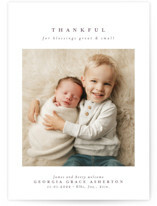 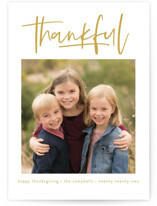 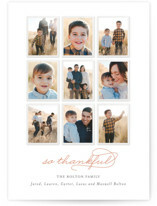 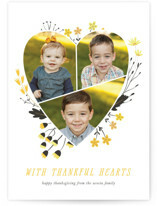 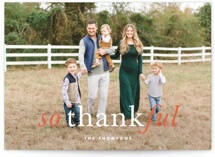 Sending Thanksgiving photo cards is the perfect way to spread cheer early on in the holiday season. 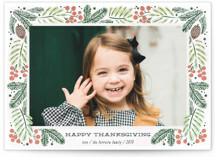 Your beautiful sentiment will be displayed on recipients' mantles the entire holiday season. 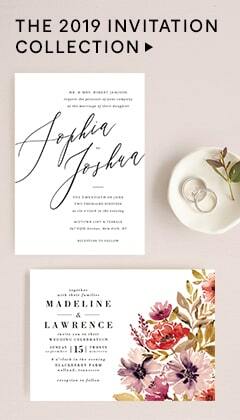 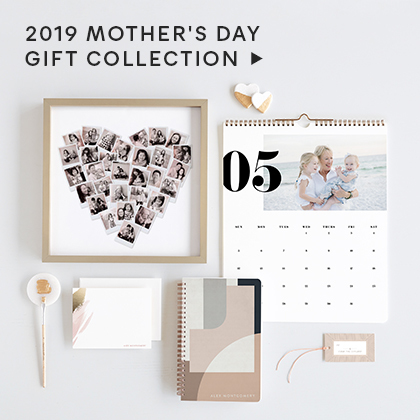 Feature your special photo alongside a unique and modern design, and completely customize to your needs. 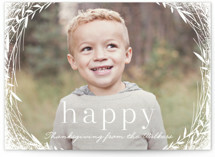 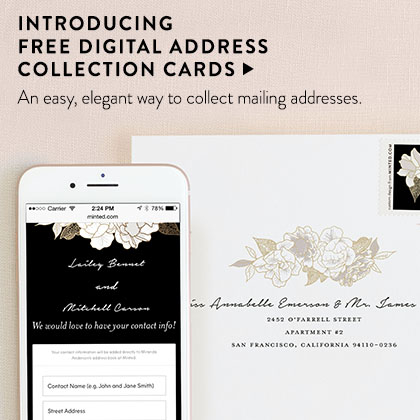 Make every detail your own from a variety of colors, silhouettes, and format styles. 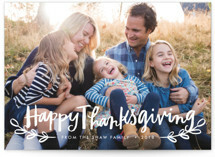 Not enough room on the front? 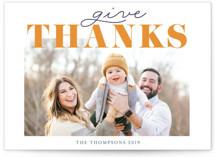 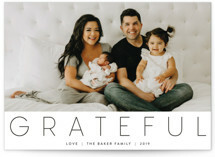 Make a statement with your entire Thanksgiving card by customizing your own unique backer. 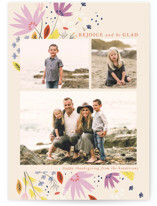 You can even select one of our beautiful real foil designs for that extra eye-catching sparkle. 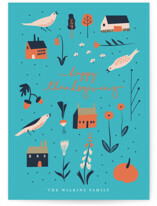 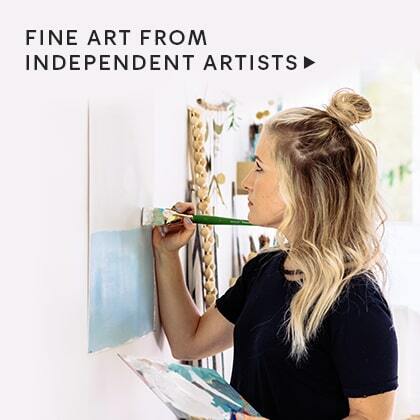 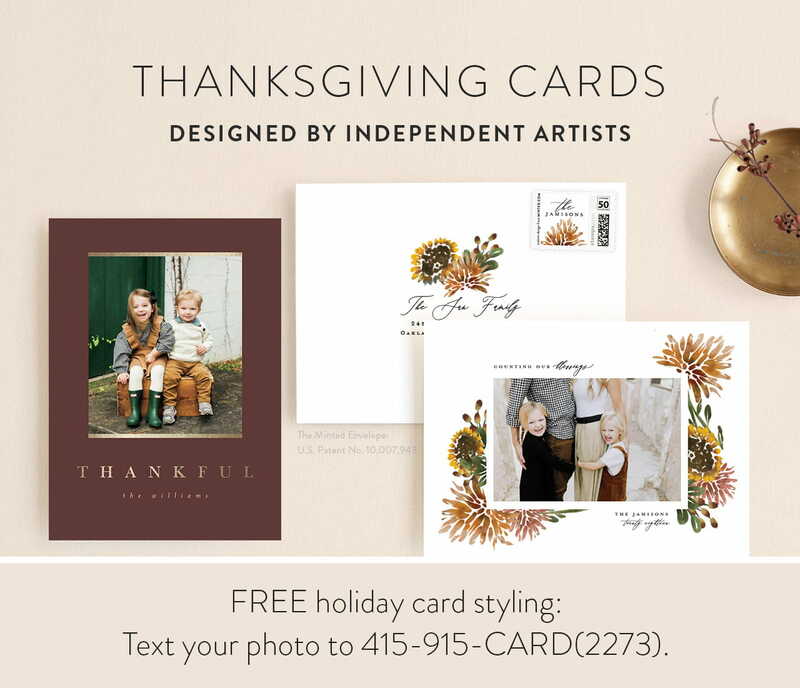 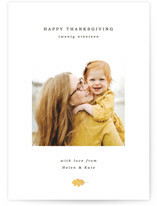 All Thanksgiving card designs are sourced from Minted’s global community of independent designers, so you won't find them anywhere else.